Georgia’s craft beer awakening came a little later than most places. When Orpheus Brewing opened its doors on Memorial Day 2014 there were less than 35 breweries in the entire state. At the time, tart beers were still relatively unknown to the average Georgia beer drinker. In the two short years since then, the status of Georgia-brewed sour beers has changed dramatically and Jason Pellett, brewmaster at Orpheus Brewing, deserves a lot of the credit. In the spring of 2009, Pellett was celebrating his Masters solo trumpet recital at the world-renowned Brick Store Pub when he was served a sour beer. It was a Duchesse De Bourgogne. The Belgian-brewed, oak aged, sweet-fruity Flemish ale sparked an obsession with sour beers. This obsession, combined with a lack of tart beers in the Atlanta market, led Pellett to start homebrewing the beers he wanted to be drinking but couldn’t readily find. He started with clones and extract but after tasting a locally made sour plum popsicle he was inspired to kick his hobby up a notch. That sour plum-popsicle-inspired homebrew was the taste he’d been looking for and it became the catalyst for opening his own brewery. Pellett started brewing it constantly. Those lucky enough to be invited to parties he attended were always excited to see him walk in with a giant tub of brown glass bottles filled with his signature tart beer. 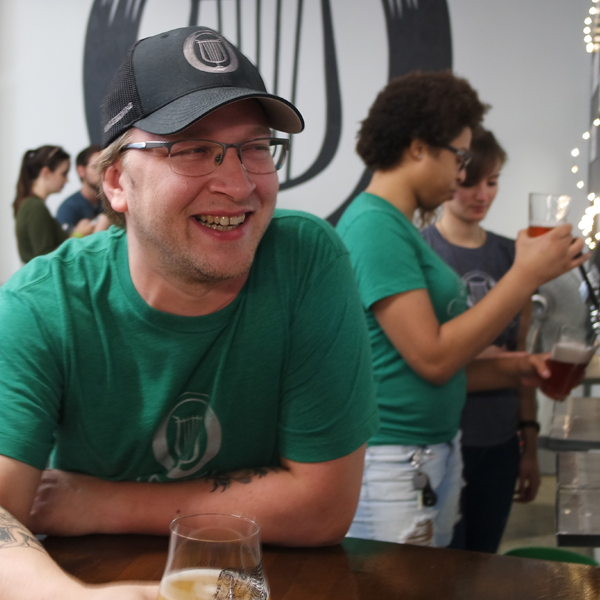 Over the next few years, Pellett developed branding, found business partners and secured financial backing for what would become Orpheus Brewing. On May 26, 2014, the tasting room in Midtown Atlanta opened its doors to a crowd of eager guests. The sour plum homebrew had evolved into Atalanta and was launched as the brewery’s flagship beer. A few days later the first kegs went into distribution. Greater Atlanta’s introduction to the world of sour beers had begun. Not everyone immediately understood that sour beers were a style unto themselves. It wasn’t unusual to have kegs marked as “sour” and returned to the distributor. But slowly, awareness of and appreciation for the sour beer style increased. Atlanta’s weekly alt-magazine declared Atalanta the city’s “Best New Beer.” Other Georgia breweries added their own mark to tart beer landscape. Creature Comforts released their Berliner Weisse, Athena. Three Taverns introduced their wild ale, Inceptus. One-off goses popped up in tasting rooms all around town. Orpheus’s IPAs include Transmigration of Souls (Double IPA), Life Death Life Truth (IPA) and Peace War Truth Lie (Session IPA). But left in the hands of Jason Pellett, even hoppy beers are ripe puckering (despite the fact that hops inhibit the souring microbes). The result is Serpent Bite, a dry-hopped sour that seems to sell out as soon as it hit the shelves. Visitors to the tasting room now come specifically to try tart and sour beers. In addition to Atalanta, Orpheus brews Wandering Blues (a blueberry sour) and Sykophantes (a fig sour). The brewery’s sour barrel room houses aging sour project, the majority of which are the result of spontaneous fermentations occurring in the barrel room’s open top fermenters. Come on out to the tasting room this weekend for some Serpent Bite, our dry hopped sour. We'll closing early Saturday, so weekend hours are Friday 6-9, Saturday/Sunday 2-5. Two years after Atalanta introduced the greater Atlanta market to tart beers there is now enough demand for Georgia craft breweries of every size to consider adding them to their portfolio. Rapturous, a raspberry sour ale brewed by Three Taverns, originally a year-round draft only is now available in cans. Savannah-based Southbound Brewing Company created Transilience, a German-style sour wheat, to help them transition into the Atlanta market. Sweetwater released The Pit & The Pendulum, a wild ale, as part of their limited release cork and cage series. Georgia’s offering of homegrown tart beers may have popped up after the national trend got rolling but it’s catching up fast. If you haven’t had one yet, it’s likely you will soon.